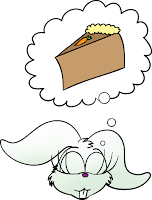 My favourite dreams are dreams about cake. And you know how much I love carrots so I am really looking forward to the night I go to bed and have a long and blissful dream about carrot cake. It's bound to happen at some point. I can't remember the last time I dreamt about any kind of cake. If ever. Maybe I need to think about this subject more often?